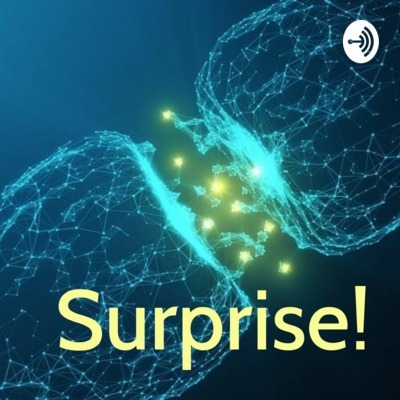 -SURPRISECAST is a captivating journey into how your brain secretly changes your beliefs during moments of surprise. -Using current neurological and cognitive research, Dr. Michael Rousell identifies and maps the consequences of surprise as a trigger for instant belief formation, one of the brain’s greatest survival tools. -You’ll learn how to craft moments of surprise intentionally and strategically, to be the creator of richer lives. In today’s episode I’ll describe the process of sense-making that goes on instantly during a moment of surprise. -Surprisecast is a captivating journey into how your brain secretly changes your beliefs during moments of surprise. -Using current neurological and cognitive research, Dr. Michael Rousell identifies and maps the consequences of surprise as a trigger for instant belief formation, one of the brain’s greatest survival tools. -You’ll learn how to craft moments of surprise intentionally and strategically, to be the creator of richer lives.